Jim Ottolini and Dave Winking join team of beer industry experts. "Jim Ottolini is one of the most revered and respected brewers in the craft beer industry, and we could not be more excited to have him join the Brew Hub team," said Tim Schoen, CEO of Brew Hub. Brew Hub, a company led by a team of beer industry executives and craft-brewing experts, has hired Jim Ottolini as chief of brewing operations. In his new role, Ottolini will be responsible for brewing operations, and he will be head brewmaster at the company’s St. Louis brewery which is scheduled to open in 2016. Ottolini joins Brew Hub after spending more than 22 years at The St. Louis Brewery, makers of Schlafly beer. Ottolini was responsible for the brewing and packaging operations of the St. Louis Brewery’s two facilities in St. Louis. Jim also was responsible for planning and coordinating activities related to the design and expansion of production equipment and resources to meet Schlafly’s growth objectives. As head brewmaster of Brew Hub’s St. Louis brewery, Ottolini will be responsible for the design and construction of the brewery and for brewing operations once the brewery is built. The company plans to brew craft beer for several regional craft breweries throughout the Midwest and for some of the company’s award-winning brewing partners, including Cigar City Brewing, Orange Blossom Pilsner, and BJ’s Restaurants, Green Man Brewing and GolfBeer Brewing Company as well as Brew Hub’s home brands. Ottolini joins Brew Hub’s team of brewmasters led by Dr. Paul Farnsworth. Farnsworth is the chief brewer at the company’s Lakeland, Florida brewery and is responsible for Brew Hub’s brewing innovation, technology and quality control. Ottolini received the 2012 Russell Schehrer Award for Innovation in Craft Brewing and serves as an adjunct professor at Washington University in St. Louis. He holds a B.A. in French Literature from the University of Kansas and an Executive M.B.A. from the Olin School of Business at Washington University in Saint Louis. Jim also has earned several certificates from the Siebel Institute and Master Brewers Association of the Americas. Brew Hub plans to break ground on its St. Louis brewery in May 2015. The brewery and tasting room are scheduled to open in early 2016. Brew Hub also has hired Dave Winking as the company’s first chief financial officer. Winking joins Brew Hub after serving as a financial consultant to craft brewers throughout the Midwest. From 2011 through 2013, Winking served as vice president, business operations for advertising agency Momentum Worldwide. Prior to 2011, Winking spent more than 21 years in a variety of finance, marketing and media positions at Anheuser-Busch in St. Louis. As CFO of Brew Hub, Winking will be responsible for all finances, budgeting and accounting for the company. Winking holds a B.S. in Accounting from Bradley University in Peoria, Illinois. Winking also is a certified public accountant. 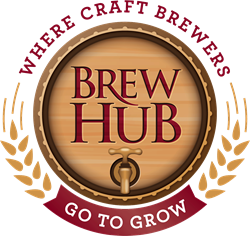 Brew Hub provides full brewing, packaging, distribution and selling services for craft beer brands that are constrained by capacity, geography or capital. The company opened its first brewery in Lakeland, Florida in August 2014, and recently announced it will build its second brewery in St. Louis. Brew Hub eventually will have at least five breweries located throughout the country that will cater to craft breweries. Specific markets will be determined based on demand, but the company is considering strategic locations in the Northeast, the Mid-Atlantic, Texas and the West Coast. This network of Brew Hub facilities will allow craft brewers from across the country to partner brew their beers on site and enter new markets. Partner brewing is a process that allows craft breweries to brew their beer to exact specifications under the supervision of their own brewmaster, and to package and distribute from Brew Hub. Brew Hub also offers its partners services, including sales, marketing, logistics, legal, and government affairs. Partner brewing allows craft brewers to expand their distribution without the overhead costs of building a new brewery or the complexity of contract brewing at third-party facilities. The St. Louis brewery will be located in Chesterfield, Missouri and will have an initial brewing capacity of 75,000 barrels (one million cases) and the potential to expand its capacity to 200,000 barrels annually. The site’s central location will allow the company to efficiently distribute beer to wholesalers in key craft beer markets throughout the Midwest. The brewery will feature a 3,000-square-foot tasting room and biergarten. Brew Hub will employ approximately 55 people at its St. Louis brewery in brewing, operations, front office and tasting room. Brew Hub was founded and is led by CEO Tim Schoen. Brew Hub’s financial sponsor is a private investment firm, The Yucaipa Companies.